Kim Dotcom was arrested in spectacular fashion, and jailed for a short period of time before subsequently being released. On his release he plotted his revenge, creating a File Sharing site that would be free from anybody’s prying eyes. In fact, the site he created was so secure, even the owners wouldn’t be able to look at the data stored on it. Unlike it’s predecessors, Kim Dotcoms newest site would not just encrypt data in transit, but also data at rest. Every file uploaded would not just be encrypted on it’s way from your machine to their servers–it would be encrypted ON the server itself. This would mean that even if Kim decided to handover all your user data to the world, no one would be able to know what files you had without first knowing the encryption key–something you should have kept a secret. 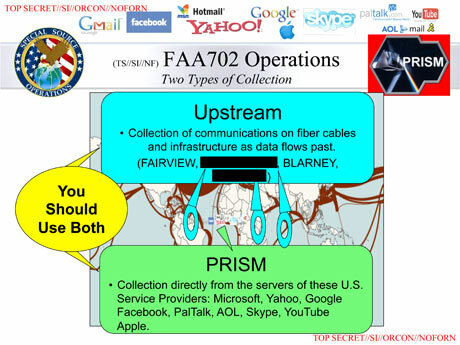 Encrypting data at rest would stop PRISM–presumably. Encrypting data in transit would stop Upstream–presumably as well. Encrypting both data in transit and at rest would give you the best data security and protect you from the prying eyes of criminals and governments–or would it? Not if the NSA have their way. In their Utah data center, they aspire to build an Exaflop machine capable of 1 Quintillion instructions per second– which dwarfs the current fastest supercomputer the Tian-He 2, by about 30 times. Unlike other supercomputers that are basically just showpieces for an arms-race similar to the space-race of the 60’s and 70’s, the NSA have a specific purpose for their new baby–they’re going to take that enormous computing power and focus it like a laser on breaking encryption, specifically AES-256. In short, all that encryption that is protecting your data now is going to be literally crushed once the NSA bring the Utah data center online–now scheduled for 2018, but we all know how governments work, so I wouldn’t hold my breath. So what happens from now till then–well programs like Upstream and Tempora are taking care of things. These programs aren’t just snooping the data pipes, they’re storing the data. So that when the time comes, 5 years from today–they’ll be able to look back in time and crack all your ‘secure’ communications by today standards. Effectively, they’ll be using the technology of tomorrow to crack the security of today–an analogy would be trying to crack the Enigma machine of WW2 with a super computer–it’ll be relatively easy. What can you do? Well for one thing–it may be time to switch to AES-512. All in all, it gets to the point where the ordinary citizen can’t rein in their government through technology alone. The oversight required to police these powerful programs must come from a political solution, rather than a technological one. While we can’t speak for the US nor hope of influence their decisions–we need to take a long hard look at the fundamental structure of our internet usage and figure out the best way forward. For now, unfortunately–I have no solution.